The model and new mum gets real about the struggles and surprises of motherhood. Though breastfeeding is a naturally beautiful process, it doesn’t come naturally for many. It may take a while before some new moms can finally get the hang of nursing their newborns. It can also sometimes be downright uncomfortable and even, frustrating. New moms often feel blindsided by just how long breastfeeding takes. And celebrities like model Chrissy Teigen are no exception. 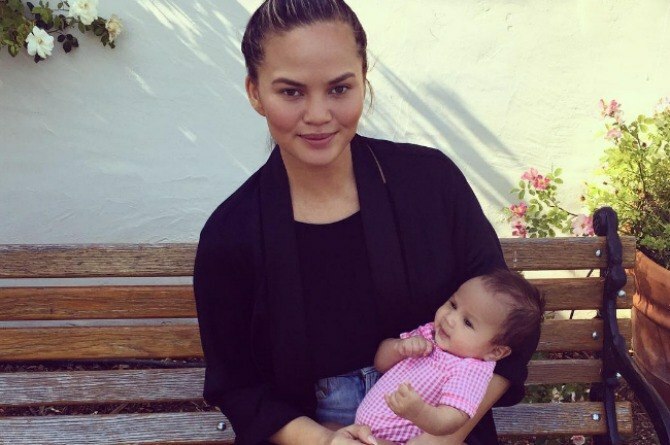 She gave birth to her first child with singer John Legend nearly two months ago. In the said interview, she gushed about little milestones such as baby Luna Simone’s first smile and making eye contact. "There is no feeling like that first little smile..."
The funny model became more candid when talking about breastfeeding. More on that on the next page! "[Breastfeeding] is very loving and sweet, but it’s not easy." Though many moms—celebrity or otherwise—idealize breastfeeding, it’s refreshing to see a new mom who’s not afraid to own up to their striuggles, revealing the not-so pretty side of motherhood. Being a new mom can be draining, exhausting but it can also be blissful and rewarding. It’s good to know that there are moms like Chrissy who can serve as an inspiration to other moms, reassuring them that they’re not alone. READ: John Legend and Chrissy Teigen welcome baby girl!